In March 2013, long-time member of the IFLN Network, Dextra Industry & Transport, was given the job of overseeing the movement of numerous outsize and super-heavy prefabricated modules by Spain's Técnicas Reunidas (TRSA), for the Technical Ammonium Nitrate (TAN) plant project in Burrup, Western Australia. Self-propelled barges were used to transport much of the cargo from Batam to Dampier. 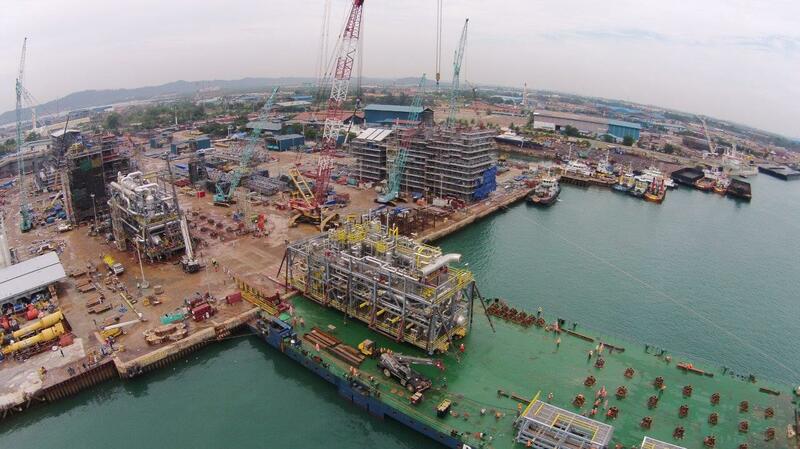 Dextra had to ship a total of 120 modules as long as 45 meters, as wide as 16.5 meters and as high as 35 meters, from the fabrication yard in Batam, Indonesia, to the job site on the Burrup peninsula. Modules weighing less than 180 tons were moved from the fabrication yard jetty to the Western Australian port of Dampier's DCW (Dampier Cargo Wharf) jetty by heavy lift-geared vessels. 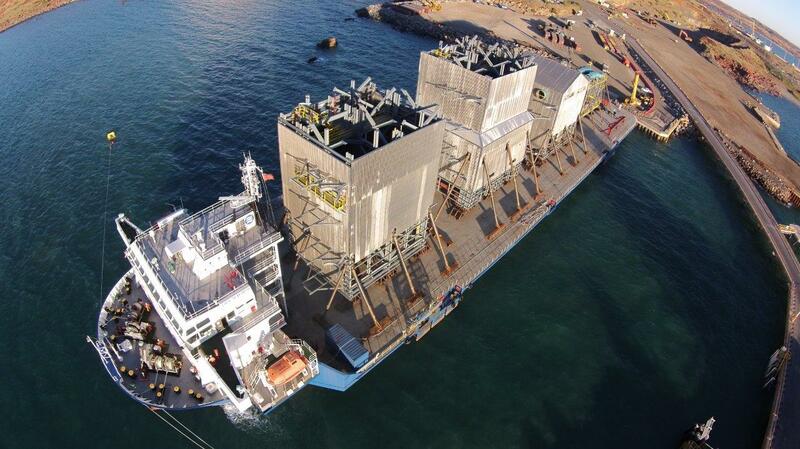 Self-propelled ballastable barges were used to transport the modules weighing between 180 tons and 1,000 ton. The modules were unloaded from the barges at Dampier by ro-ro load out methods, with double or triple self-propelled modular trailers, making use of ramps at the stern of the barges before being driven on public roads to the job site located approximately 6 km from the port. The modules are loaded at the Batam fabrication yard on to self-propelled barges. TRSA, the acting EPC (engineering, procurement and construction) contractor of the project, also appointed Dextra to handle the design of all the fastenings and bracings required for the shipments. Dextra's engineering team calculated the required deck fastenings, taking into account the impact that the pitch and roll of the vessels would have on the enormous modules. They also had to design a sufficiently strong fastening and bracing system to cope with potentially harsh sea and weather conditions in order to guarantee a safe voyage while minimizing the weight of steel required; moreover, given the cost of designing and producing such a complex fastening system, the end product also needed to be sufficiently versatile that it could later be used for other shipments, despite the different heights and weights that would be involved with other cargoes. 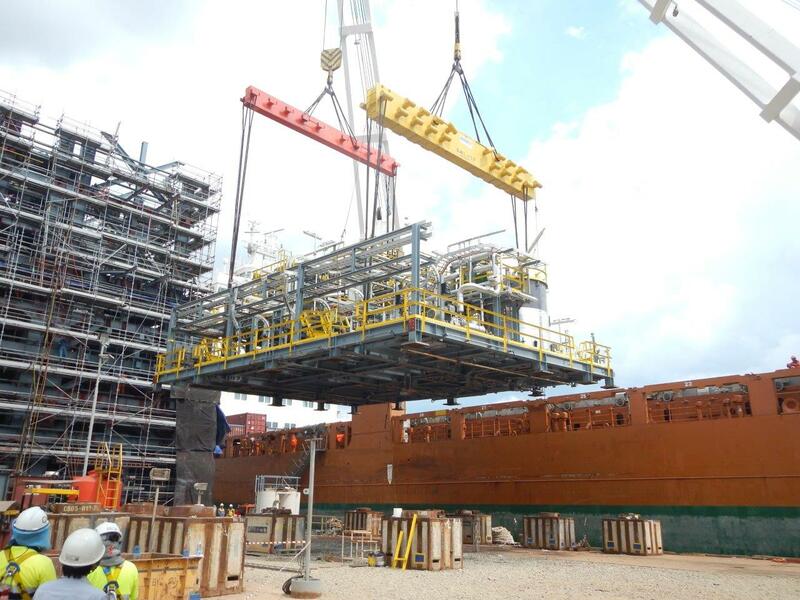 Specially equipped, heavy-lift vessels were required to ship the massive modules. Dextra also carried out a road survey of the route from the port to the job site, identifying where highways had to be improved or widened, as well as where potential obstructions needed to be removed, as part of an extensive period of preparation for the challenging movements. Work started as early as March 2013 on the project, and the forwarder has handled no less than five geared vessel shipment and five self propelled barge movements between October of last year and October of this year. Dextra, a member of the IFLN Network since 2001, has had their excellent work in support of the project, praised by TRSA and the operator of the TAN facility. It is hopeful that the success of its handling of the Burrup shipments will open the door to future similar work.